With apparent* remake fever, studios are adapting everything. Netflix recently announced a two-season origins story for One Flew Over the Cuckoo’s Nest’s Nurse Ratched. Highbrow, lowbrow, nothing seems to be off limits. The question, though, is why not get some of the old low budget titles? Sure, they may not have the draw that One Flew Over the Cuckoo’s Nest has, but being unknown will pique some curiosity. Consider it a bonus if the remake is better than the original. In this spirit, let’s look at remaking the one and only Danish kaiju movie, Reptilicus. It is safe to say that Reptilicus has issues. Movies don’t get featured on Mystery Science Theater 3000 if they don’t. Reptilicus was the first movie featured on MST3K: The Return. It was ripe for riffing, thanks to a slow start, an odd character that seemed to be there solely for comic relief, and special effects that showed a low budget. Yet, the movie had potential, which is critical when remaking a work. As a Danish-American production, two versions were made. 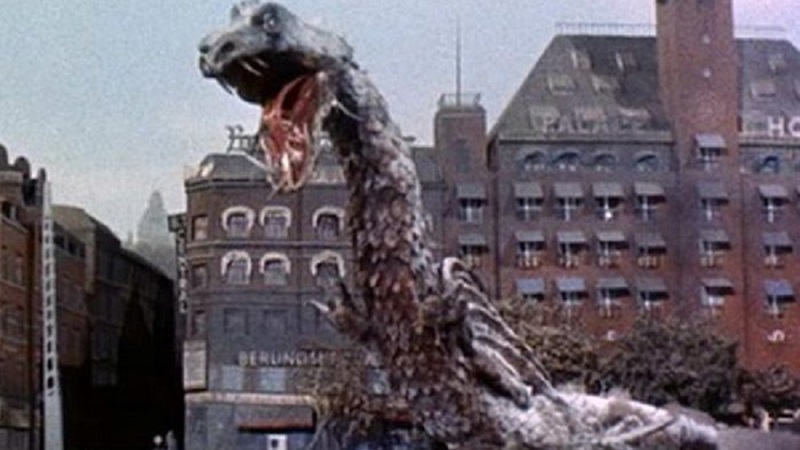 The American version substituted one actress from the Danish version and removed one of the title monster’s abilities because of how it looked on screen. The movie begins in Lapland with the discovery of the tail of an ancient creature frozen in the ice. The tail is shipped to the Danish Aquarium in Copenhagen, where scientists study the remains. A mishap allows the tail to thaw, leading to the monster, dubbed Reptilicus, regenerating like a starfish. Once fully regenerated, the monster menaces Copenhagen and the North Sea. The military is called in, but is limited in what they can do. Using explosives means that parts of Reptilicus could lie unseen and able to regenerate into a new monster. Only two ways will work to destroy the monster – fire and poison. However, the military finds out these details too late, after having blasted off the creature’s foot. The movie ends on a shot of the foot lying underwater. Reptilicus start off slow, in the way of far too many B-movies, with serious men being serious scientists explaining the plot before it starts. However, the square-jawed science hero isn’t in this movie; the scientists are older with families. 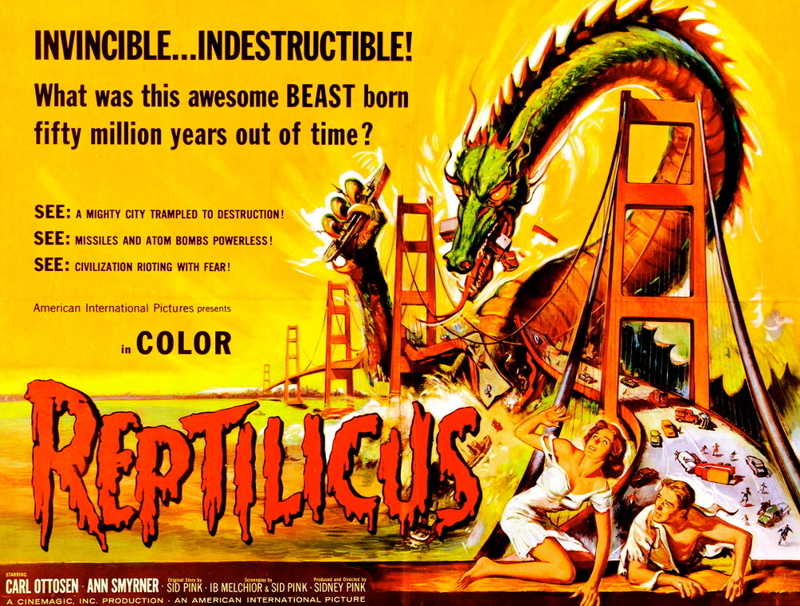 The slow start also helps delay the other big problem of the film, Reptilicus itself. It is very much a rubber monster, shot on different film stock than the rest of the movie. The movie tries to avoid showing the creature too much, knowing that it really isn’t that threatening. Instead, the destruction in the monster’s wake is shown. However, in trying to not focus on the monster, the movie does get a few good shots in, including the panicking of the crowd. One scene has a drawbridge that starts rising before people could cross it. Several bicyclists drive off the edge into the water below before they could stop. The Danish military gets several good scenes as they try in vain to stop Reptilicus. The movie has potential. It was just the execution where Reptilicus had problems. In the hypothetical remake, the first thing to work on is Reptilicus itself. Special effects have come a long way since rubber puppets in 1961. The monster can be more threatening and appear in the same frame as its hunters today. However, it may be best to keep its ability to fly out of the remake; the American version in 1961 removed it because it was too silly. Given the location, a sea monster would work well; long, snaky, a threat to shipping and the coast. Its ability to regenerate could be kept, though it’d take some work to make it believable today. Monster movies can get away with some biological weirdnesses, but too weird and the suspension of disbelief snaps. In terms of plot, the monster has to be on screen sooner. The draw of monster movies is the monster as it wreaks havoc in a major metropolitan area. The lack of collateral damage was one of the problems with the 1998 Godzilla. With better effects, Reptilicus can appear sooner and with the destruction such a monster is capable of. Ships and buildings can be destroyed on screen. Get Reptilicus right, and the initial investigation won’t have to carry the first half of the film. The scientists can stay. They provide the explanations the audience needs. The monster’s ability to regenerate can be shown on screen, but having someone in a white lab coat mention the process, especially to military leaders, never hurts. Show and tell instead of just telling. The discovery of the remains of Reptilicus and the mishap that lets it thaw are key moments in the film, so they need to be kept. Since it should be easier today to show more of the monster onscreen, the remains can be a near-complete carcass instead of just the tail. The end of the film will need work. The monster was finally defeated in the movie when a sedative was fired into its mouth by the general using a bazooka. Combined with the poor effects of the monster, the scene didn’t work. The concept is good, but getting it to look right on screen will be tough. The restriction on method in-story was that Reptilicus was in the city; firebombing the monster would not look good on the military. The collateral damage would be too high. But a difficult shot with a weapon meant to be used against large targets like tanks and bunkers. Accuracy is difficult, and the bazooka has been superseded by the rocket launcher, a weapon that really doesn’t do sedatives. A grenade launcher may work better – gas grenades can be filled with what’s needed with some handwaving – but the accuracy is still an issue. Grenades aren’t really precision weapons. The end may involve someone running up to Reptilicus to toss the modified gas grenade into the monster’s mouth. It would make for a satisfying bit of action after seeing Reptilicus trash Copenhagen. One of the problems with remakes lately is the Hollywood-ization factor. Studios, not wanting to risk losses on a film, populate casts with either the latest and greatest or the pretty, with no thought on what the roles need. Reptilicus features high level personnel at both the aquarium and the military. 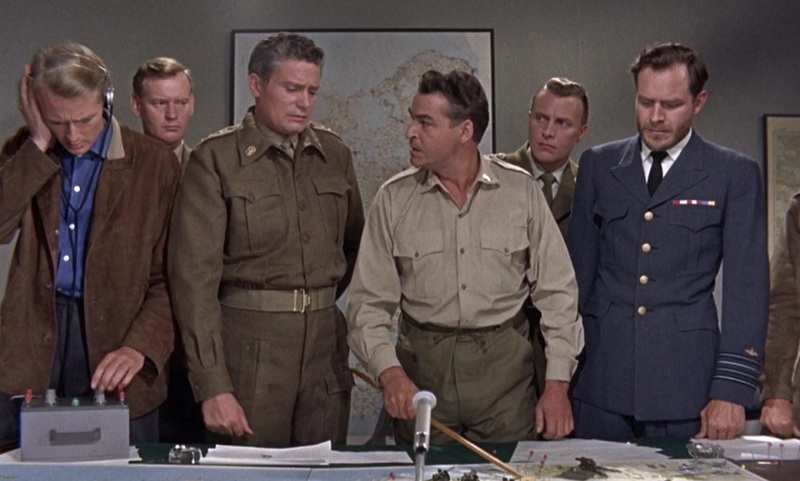 The head of research isn’t going to be a twenty-something; likewise, the general isn’t going to be a model. It’ll take a director willing to push back somewhat to make sure that the actors for these roles fit. Reptilicus has the potential to be a good remake. All the original movie needed was a bigger budget for the monster, something that a studio can provide today. The core of the original is a monster movie; the draw is the monster rampaging. Keep the focus on Reptilicus and avoid the temptation to add subplots and the remake will draw an audience. * I say “apparent” because the past few decades have been teeming with popular original work. As seen in the History of Adaptations, that wasn’t always the case. This article was originally published at Seventh Sanctum. Thanks to our friends at Seventh Sanctum for letting us share this content.